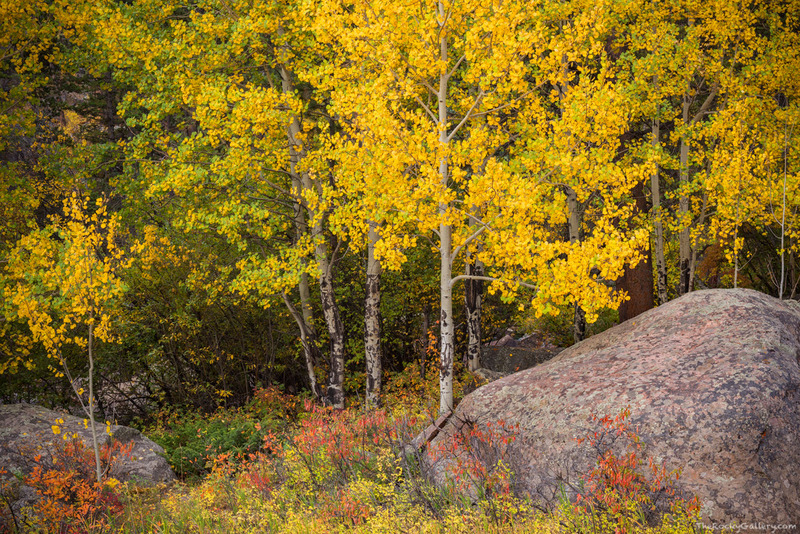 Along the banks of the Big Thompson River just on the outer edges of Moraine Park a colorful autumn scene had developed. With elk bugling off in the meadow performing their fall serenade, the aspens of Rocky Mountain National Park have begun to turn golden. Some of the small brush at the base of these beautiful fall trees has turned red adding a splash of color to the landscape. Photo © copyright by Thomas Mangan.